The remaining AFD Non-Scorers pass Newbury A and B. To be honest, Robbie’s track season in 2018 never really got started, with himl suffering from prolonged time out through injury, then revision etc. 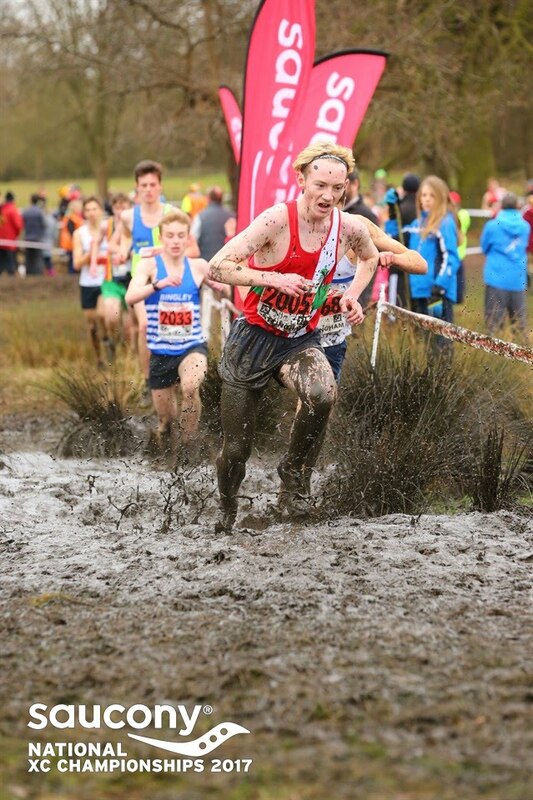 Although 2018 was Robbie’s last year for running in the Schools Championships, this particular event landed right in the middle of his A levels and was skipped, as were so many other races. 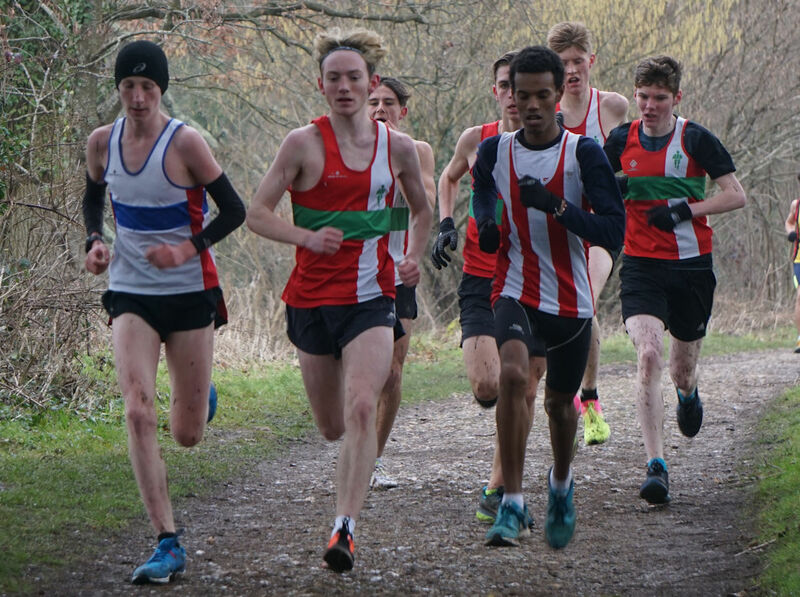 All in, 2018 has seen Robbie compete 3 times on track, the Hampshire County Championships at 3000m, a Southern Athletics League (SAL) event at 3000m and this weekend a SAL event at 5000m. 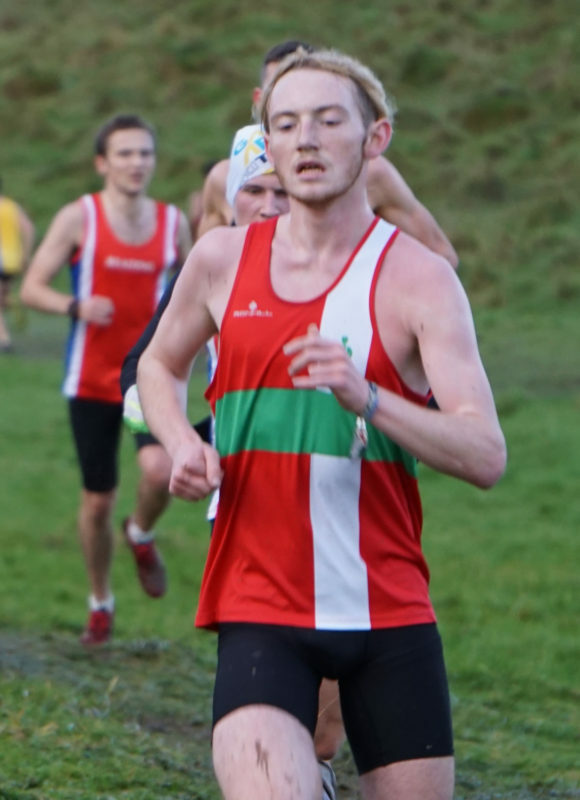 The Hampshire Champs race, held back in May was prior to his revision break, and saw him running well for the past year, but not at the level we have seen in the past. 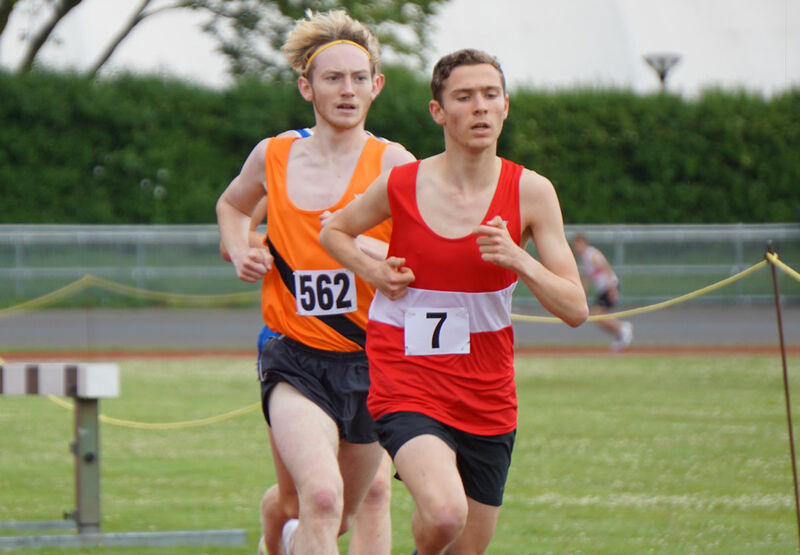 His PB at 3000m (8’53”) was never threatened but he finished 2nd to Sam Tyas in a time of 9’05”. 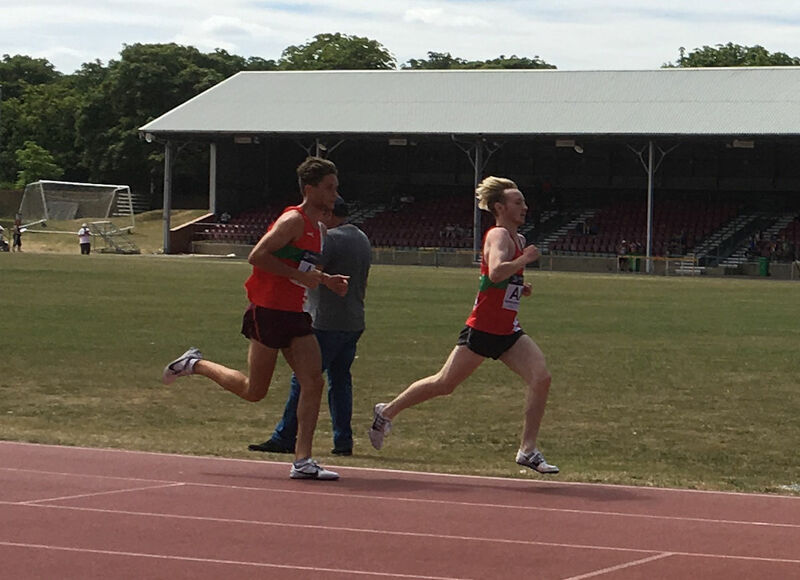 Some time after his exams, and still way off his peak fitness level he got back on the track at Aldershot to compete in his first of two SAL races, this one 3000m where he ran for AFD in the B stream race, finishing 2nd in 9’26” in a slow but very hot race. 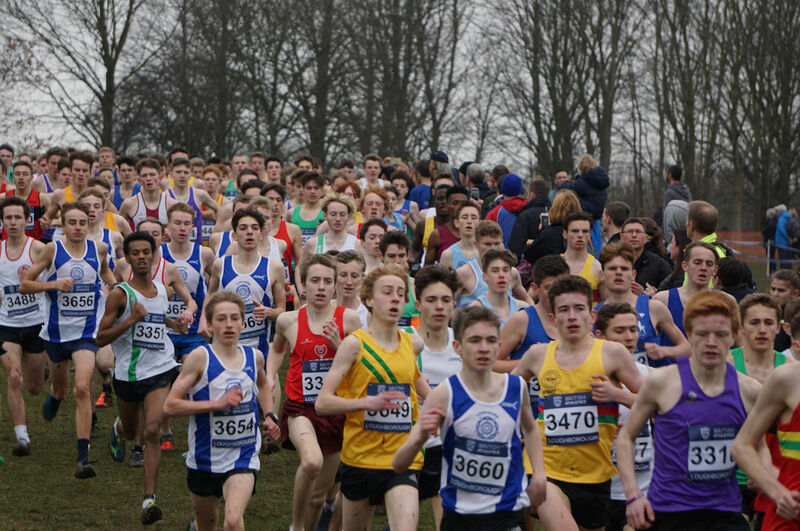 And finally to his 3rd and final track race of the season, with A level results released, an accepted place at Sussex University (Brighton), his worries behind him and a large group of AFD non-scoring runners taking to the track, aiming for a sub 16′ race it looked like the stage was set for a good one. 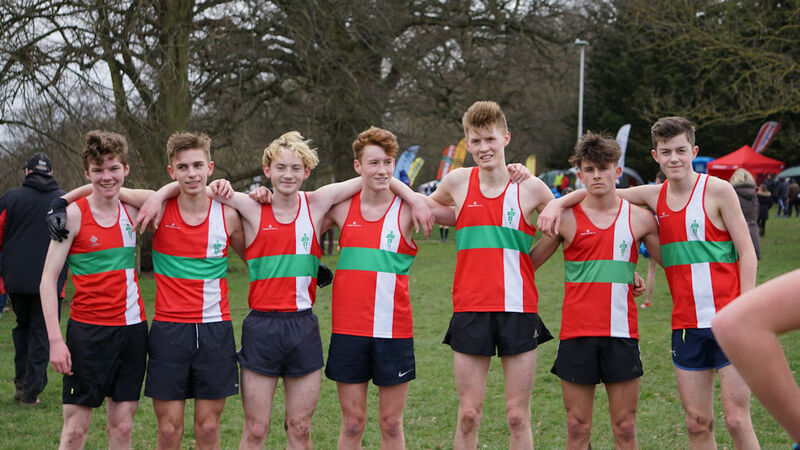 Toby and Bryn Smith took on the scoring roles, with both looking to compete in sub 15 minute times, the sub 16′ minute non-scorers were to be led out and paced by Alex Pointon, and Robbie settled in nicely to that chasing group. 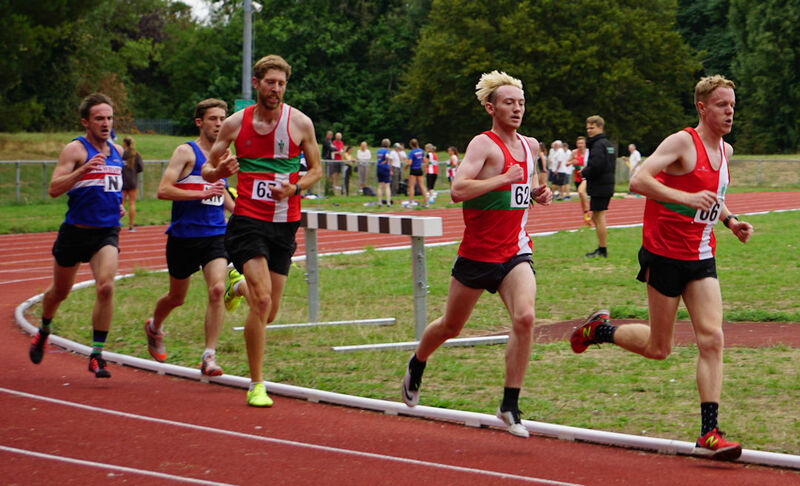 Toby and Bryn set a blistering pace, and were soon forming a substantial lead over all other racers, with 2 Newbury runners chasing them, and the AFD NS group chasing Newbury, Alex set a 77″ lap pace and the guys settled in to beating out the 12.5 laps. With about 2k to go the NS group had caught the Newbury Runners but had lost a few of their own, the Newbury guys didn’t drop off though and slotted in behind Robbie and Alex leading the AFD guys home, meanwhile Bryn had taken the race on, pulling away from older brother Toby while Robbie and Alex closed him down. With about 1k to go Alex dropped out, his pace making complete and Robbie took on the mantle, chasing after Toby and slowly closing the gap between them, then slipping past and targetting Bryn in the distance. That gap was too big to ever close down though, and the 1 of the 2 Newbury runners who had slipped in behind Toby pushed past him with one lap to go and started to close down on Robbie, catching him with about 30m to the line and edging past him. Robbie was not in the mood to let that happen though, and as the Newbury runner started to pull past, Robbie slipped a gear and sprinted for the line leaving Newbury A behind him. Race Finished, Robbie completed his first ever 5k on track in a respectable 15’51”, coming 2nd overall to Bryn Smith who finished in 15’42”, with Newbury A in 3rd and Toby Smith in 4th. Well after the turmoil of exam time, driving lessons and well everything, Robbie finally returned to the track this weekend, competing for AFD in the SAL. 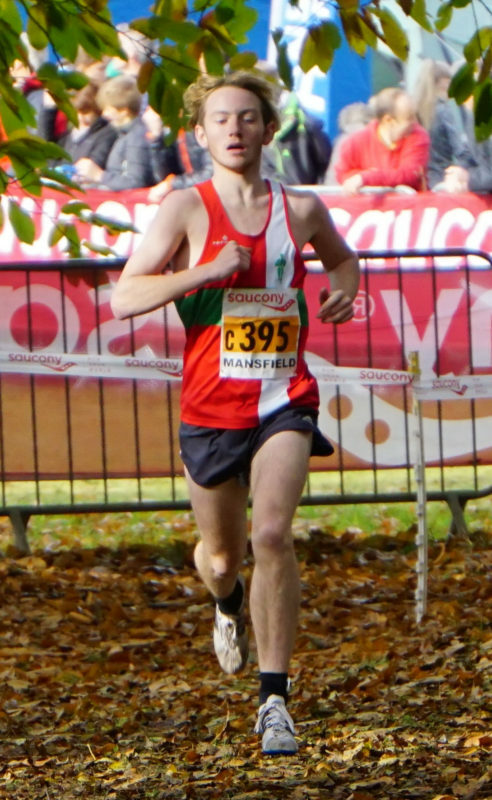 Each event consists of an A and B stream, initially Robbie was scheduled to run as the A stream runner in the 3000m. As you can imagine the 3000m is run as a single race, the A and B scores taken from the whole post race, and the numbers bolstered by non-scoring runners looking for PB’s. 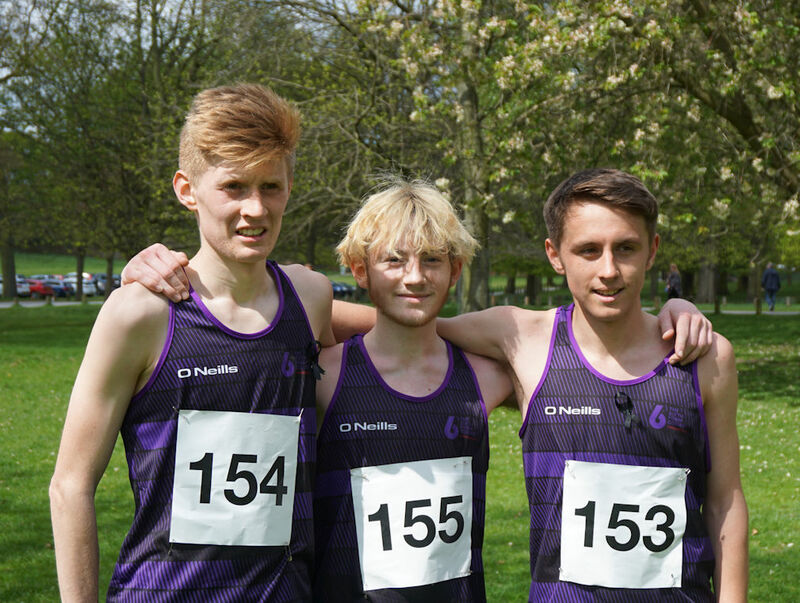 As it happens, Jack Rowe (PB = 8’13”) became available and stepped in to the A stream shoes, Robbie dropped to B stream and Marcus Shantry ran as a non-scorer. After a fairly steady first 2k, Robbie took on the lead and pushed out the time with Jack sat comfortably on his shoulder the race was seriously picking up and after a lap sat on Robbie’s shoulder, Jack took another notch up and pushed out the boat, from there on it was always going to be an AFD 1, 2 or to be more accurate a 1, 1. As Jack took the A stream win in 8:48.8 with Robbie taking the B stream win in 8:58.5. Robbie and Jack with 600m to go.